The mom standing next to me looked at me, and her jaw dropped. Well, the truth is, she doesn’t listen all the time. Because she’s five and as strong-willed as they come. And because she’s one of the most determined-to-do-what-her-little-heart-tells-her-to-do girls I have ever met. But we found a simple way to get her to listen to us the first time we ask, almost all of the time. Why is listening a big deal anyway? Besides needing her to listen to me so I don’t lose my ever-loving mind repeating myself fourteen times (which happens to be one of my angry mom triggers), she has to listen to me so I can keep her safe. If a car approaches while she’s riding her bike and I command “Stop!,” I have to know she will listen. I need to know she will listen. So our children need to practice listening to us the first time we say something when the stakes are low so in the case of an emergency, they do exactly as they’re told, no questions asked. 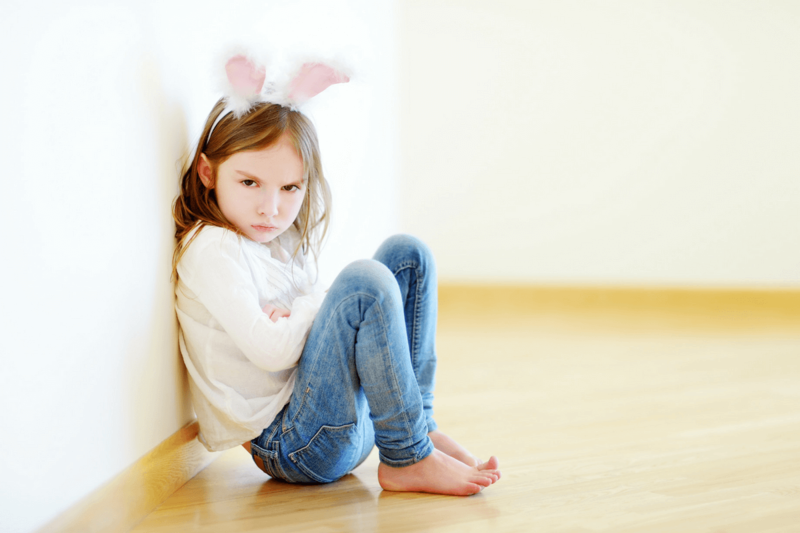 But getting a child to listen when they’re determined to keep playing can be tricky. 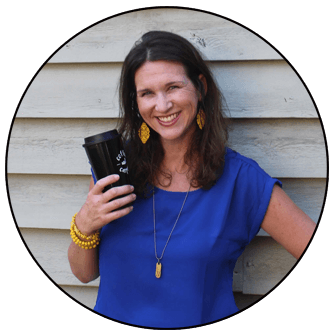 The moment can easily turn into a power struggle, especially for our most determined children. My trick? I had to get her to WANT to listen to me. My youngest doesn’t get her shoes on because I asked her to. That would’ve been what my people-pleasing first born did. And what my easy-go-lucky middle kid did. So for my third kid, I had to change my tactics. I had to step up my mom game by figuring out what motivates her. Every child has something they truly, desperately want. 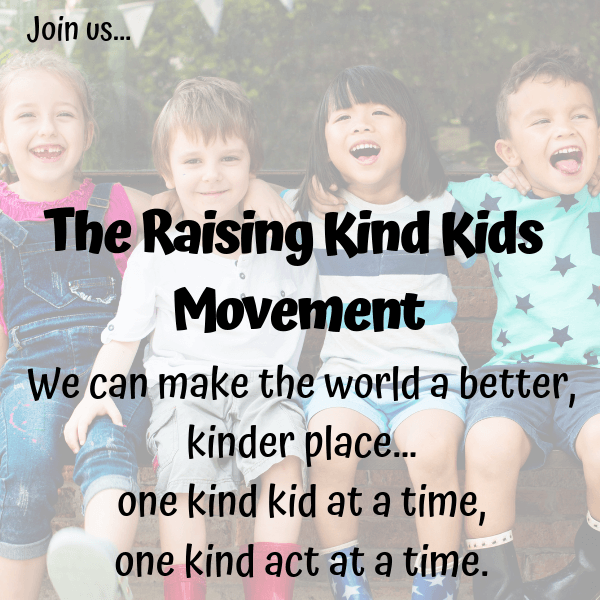 When we know what that is, we can help them get what they want while also teaching them the values and rules of our family. Being in a family of five, alone time with your parents can be a commodity. I know it was when I was a little girl. My youngest daughter—well, all my children —LOVE alone time with my husband or me. They crave this special one on one time, or “dates” as we call them because they tend to be rare moments. I know my youngest prefers Starbucks “hot cocoa dates” with my husband, prefers Target “pretzel dates” with me, and on the rare occasion she gets us both to herself, she begs for a sushi date. So since these one-on-one time moments are few and hard to come by in a busy family, my daughter has to “earn” her dates. And she earns her dates by following our family rules. For my strong-willed, determined little girl, following the second rule is the most challenging. She doesn’t always want to stop doing what she’s doing so she can do what I need her to do. Coloring her picture is way more fun than putting on her shoes. But she has to listen to me, the first time I ask her do something. If I ask her to hold my hand in a parking lot, she has to do it before I ask her again. If I ask her to buckle herself up in her booster, she has to click the belt. If I ask her to stop licking the dirty candy she found in the parking lot, she has to stop. Now this is not a simple task to get a five-year-old to not need reminders. And some days are easier than others. First, figure out what motivates your child. Ask yourself, what do they really want? Is it alone time with a parent? Is it a pack of new Pokemon cards? Is it wearing their Halloween costume out in public? Whatever they value most will be the “prize” they’re working towards when they listen. Then we print out this little card and every time she listens the first time, I punch a hole in the card. It’s a visual and a physical reminder she is following one of our family’s rules. A “hole” is an acknowledgment that we see her making the right choice. We see her consciously choosing to do what we asked her to do. Brush your teeth. That’s a hole. Please put away your crayons. That’s a hole. Stop running through the house naked. That’s a hole. It’s not a reward so much as it is a thank you for not making me repeat myself. It’s a positive reminder that we value our family rules, and so does she. And since twenty holes gets her a date of her choice, she is highly motivated to be a first time listener. All of a sudden, she WANTS to listen. She’s excited to listen and follow a family rule. I repeat myself less and I get a reminder to carve out time for her and I. That’s a triple win in my book. When all of her holes are filled up, we go on our pretzel date. Before she can scarf it down, she’s already earning holes on her new card. 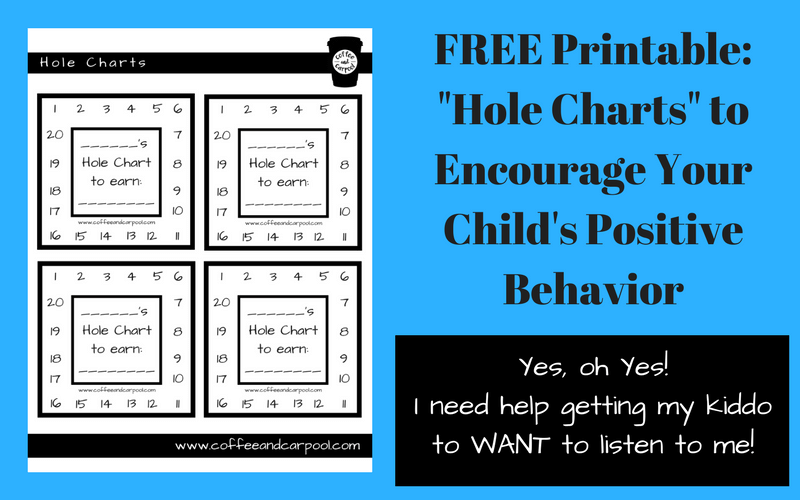 And on those not so rare occasions when she doesn’t listen the first time, I remind her that her behavior “was not a hole” because I had to repeat myself. She usually then runs over and counts how many holes she has left to earn our next date. I can almost see the gears turning in her head as she formulates a plan. On my next request, no matter how simple, I get an “Okay, Mama…. Is that a hole?” as she scurries to clear her plate. If I don’t have to repeat myself over and over again little girl, you can get all the holes and pretzel dates your little self can earn. I’ve got my hole puncher and my Target card at the ready. 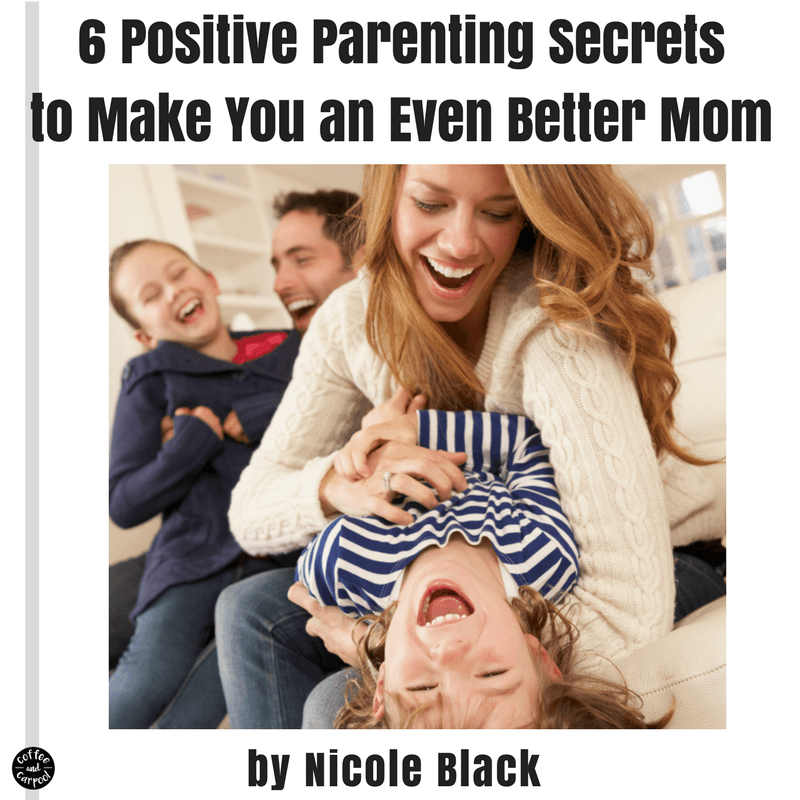 Want more Positive Parenting tips and tricks? 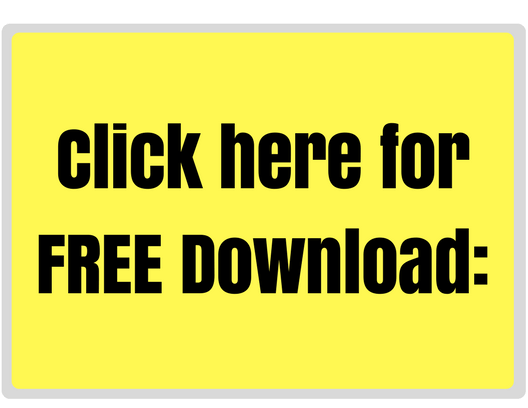 Check out my newest ebook! 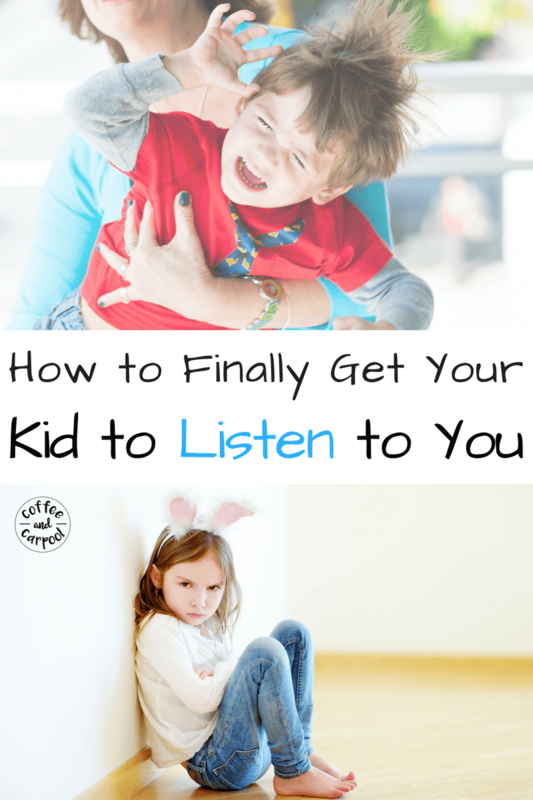 What do you do to get your child to listen to you? Try this awesome book, How to Talk so Kids Will Listen and Listen so Kids Will Talk. And this one for your kids: Why Should I Listen? We used to do the same thing!! My kids are older now and I guess somewhere along the way it fell by the wayside but I think I’ll try again! Especially with the holidays approaching! Glad you found something to work so well! I LOVE this idea and I will definitely try this with my little one. She is only three but I think she will learn fast how to get a reward. Moms should definitely get their own hole chart…do the dishes, get a glass of wine. Cute idea! As a teacher and mom, I always suggested that parents find their children’s “currency.” In other words, find what matters most to your child. It sounds like you did just that! Have your read Dr. Gary Chapman’s 5 Love Languages of Children? It sounds like “quality time” may be this daughter’s love language! We had a shooting at a school in our town last week. As a mom and teacher who never thought something like that would happen in our tiny, rural town the event was devastating. Since the traumatic event a number of school staff members have come out and stated that the reason that so many children survived is because they listened to the school staff THE FIRST TIME. As a parent and teacher this really resonated with me. We sent home report cards on Friday and I included a letter to families about the importance of learning how to follow directions the first time and how it might save their child’s life one day. Thank you for sharing these tips for making that work in your home.